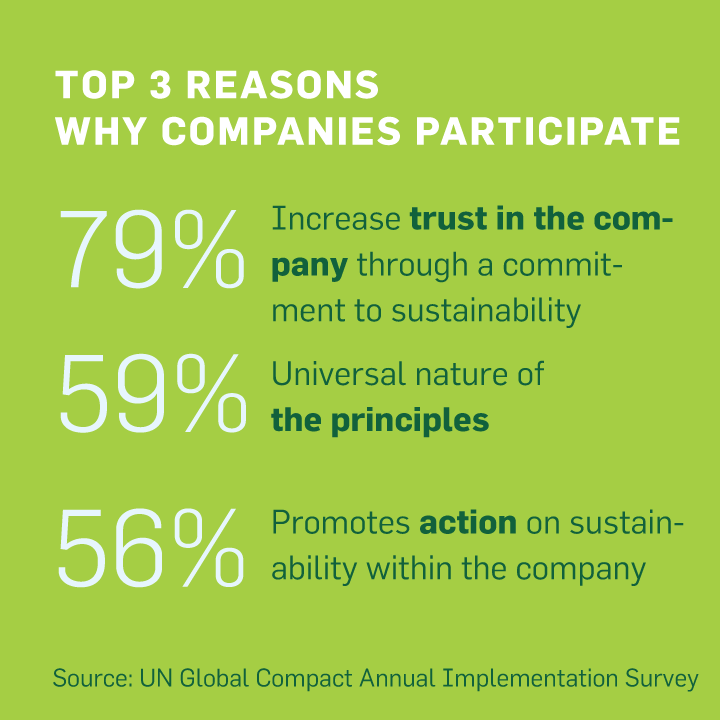 The connection between the bottom-line and a company's environmental, social and governance practices is becoming clear. 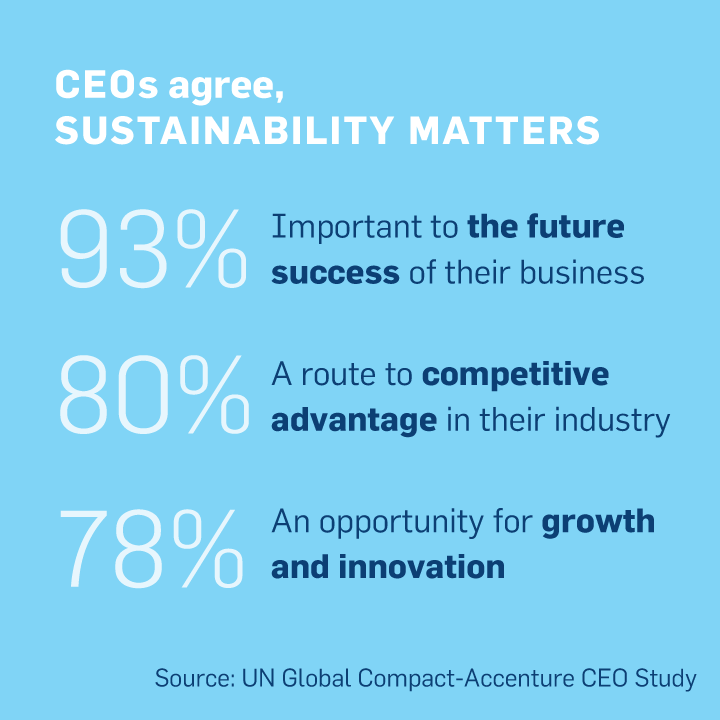 It’s good for society – and business really can make a difference. Companies offer fresh ideas and scalable solutions to society’s challenges – exactly what we need to create a better world. More than 8,000 business participants and 4,000 non-business participants in the UN Global Compact are already changing the world. They’re helping alleviate extreme poverty, address labour issues, reduce environmental risks around the globe, and more. See who is involved. Whether you are just beginning to adopt sustainable business practices or already on your way, join the UN Global Compact to make an even greater difference.